Product prices and availability are accurate as of 2019-04-14 22:11:08 EDT and are subject to change. Any price and availability information displayed on http://www.amazon.com/ at the time of purchase will apply to the purchase of this product. 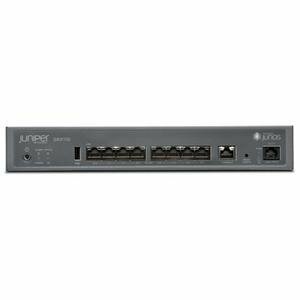 The Juniper Networks SRX110 Services Gateway offers complete functionality and flexibility for delivering secure and reliable data along with multiple integrated interfaces that support WAN and LAN connectivity. The SRX110 Services Gateway supports interfaces such as 3G USB modem and integrated very-high-bit-rate digital subscriber line version 2 (VDSL2).